RDH Architects Inc./ Shoalts and Zaback Architects Ltd. 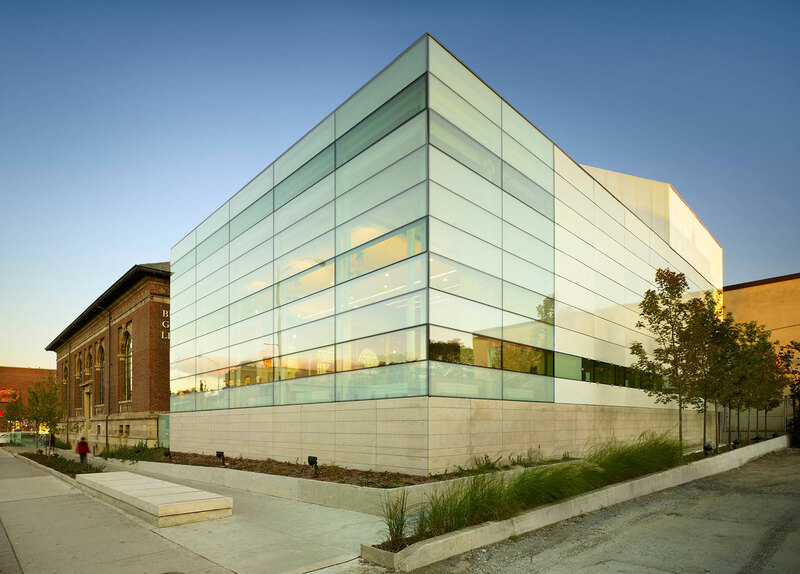 The Bloor Gladstone Library project is a renovation and addition to a listed heritage library in downtown Toronto. 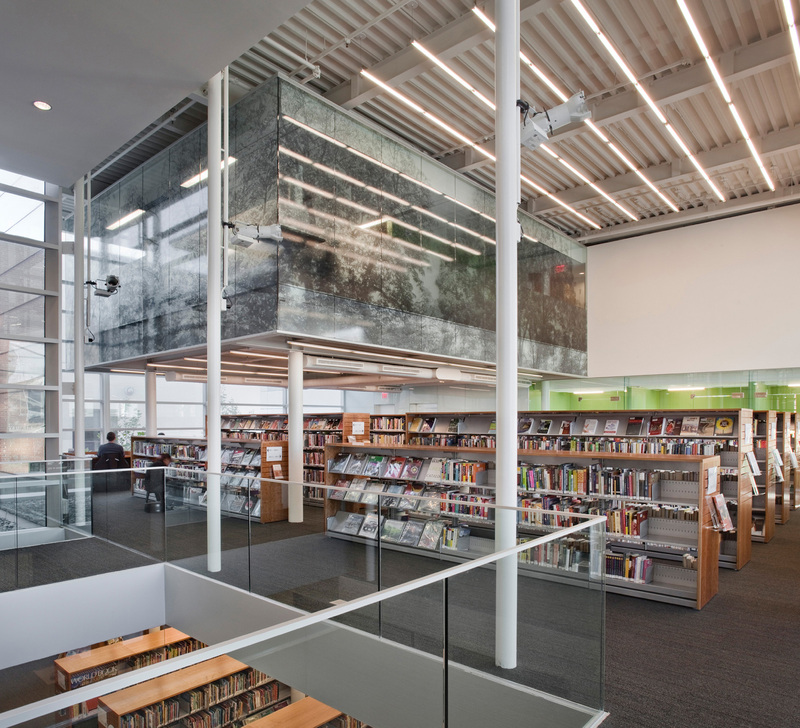 The architects were commissioned to design for an additional 12,000 square feet, bringing the facilities to a standard consistent with a district library. 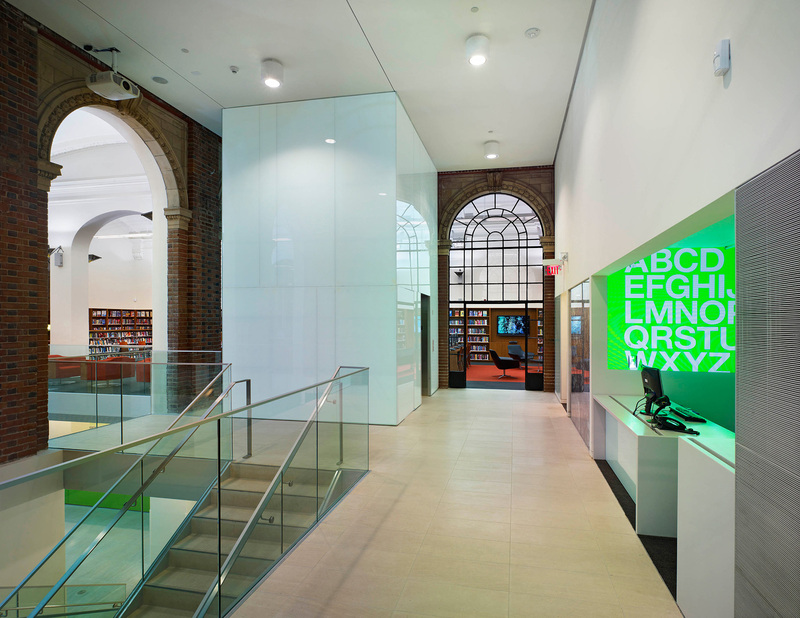 This project transforms a dilapidated and dysfunctional heritage library into a functioning, interactive, contemporary institution. The quality of finish, detail and design resolution elevates the community library to a level commensurate with other significant cultural institutions. This enhancement illustrates the fundamental importance of access to information in the world’s largest library system, the Toronto Public Library. 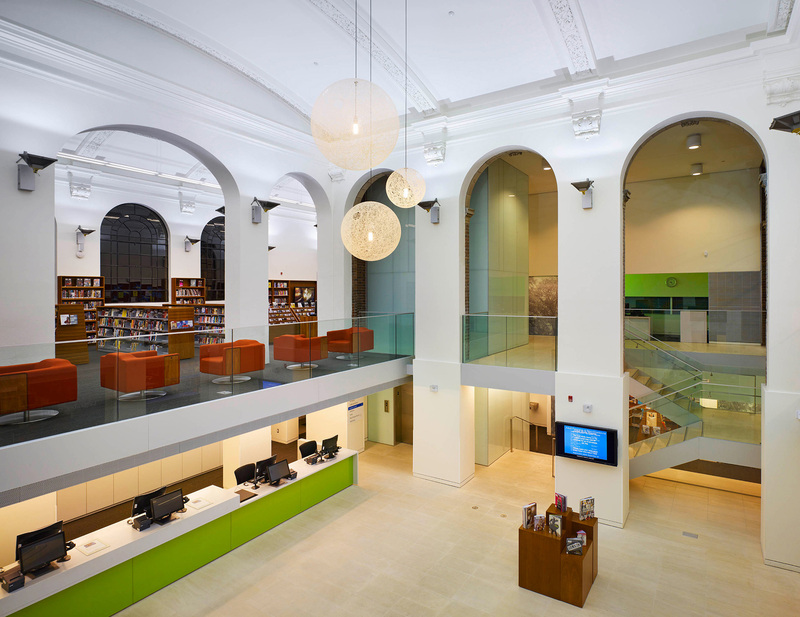 "This renovation and expansion of a distinctive historical library stands out for being both creative and respectful. The design re-imagines the entranceway and body of the original structure, adds a minimal glass addition and creates an intimate courtyard in the process."